This week we’re having Vacation Bible School at the West Main Church where I preach. The theme is: “Soldiers of Christ Arise.” Our Text is Ephesians 6:10-18. We’re specifically studying about the Christian armor we’re to put on. This morning I’m teaching the teenage class about “the belt of Truth.” Here’s what I’m going to share with these young people. A strong core is essential to physical fitness and good health. Your core is that area around your trunk and pelvis, the abdominal muscles. The core enables the rest of your body to function properly. Every motion you make requires support from your core. It is central in connecting the lower and upper parts of the body. A strong core is important for your balance, stability and overall stamina. The condition of your core affects everything. The spiritual “belt of truth” is that piece of equipment that strengthens the core. 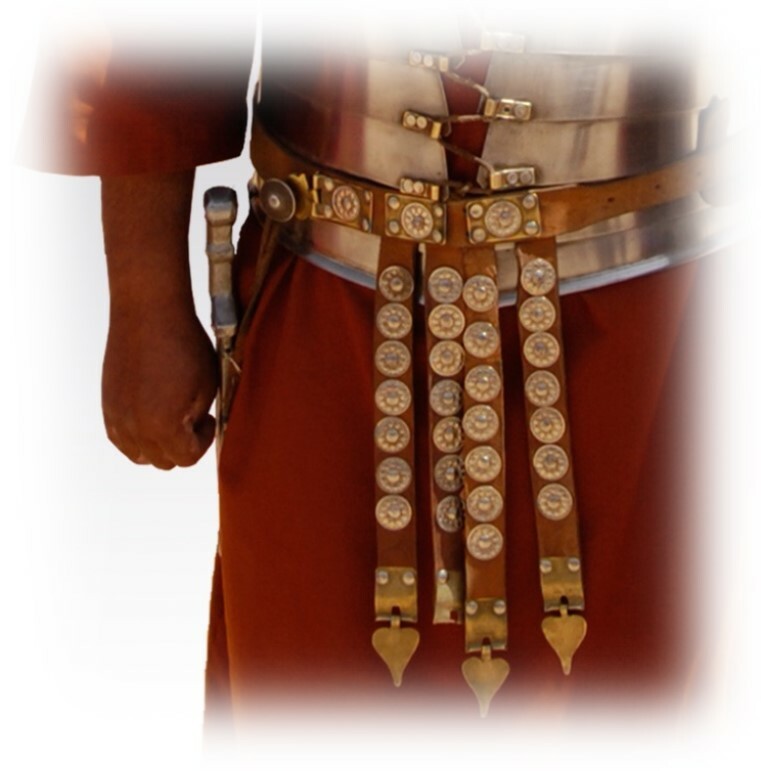 “A Roman soldier “girded his loins” with this belt, which was actually more like a girdle than a belt. (A manly one, of course!) This piece of equipment, with its elaborate buckles and intricate décor—distinguished the soldier from a civilian. But it wasn’t just an optional, decorative, secondary accessory. It was the strategic, primary focal point of his attire. This sturdy, leather girdle reached around the torso and provided necessary support and freedom of movement while the soldier engaged in quick, demanding movements of war. As a soldier with his girdle, like a policeman without his holster, is vulnerable. So is the Christian that does not have on the belt of Truth. If we fail to wrap our waists in Truth, we are susceptible to Satan’s schemes and alluring advances. The devil desires that we discard “the belt of truth.” That we listen to his lies. That we are enticed by his tempting charms. That we are weakened by the carnal pleasures he waves before our eyes. Jesus and Bible writers had a great deal to say about the importance of truth. In His prayer to the Father Jesus said, “Sanctify them by Your truth. Your word is truth” (Jn 17:17). God’s Word is Truth. It is unchanging. Unbending. Unbowed. Jesus said, “I am the truth” (Jn 14:6). If we want to be free from sin, guilt, and destructive lifestyle we must come to know Him. His Word. His truth. He said, “You shall know the truth and the truth shall set you free” (Jn. 8:32). Today’s culture, however, looks at truth as being “relative.” It says, “What is truth for me, may not be truth for you. And what truth is for you, may not be truth for me” This philosophy can be summed up in two words: “No Absolutes!” Ironically, that assertion is an absolute. Our age suffers from “truth decay.” But regardless of what society says, Christians are called to a higher standard, asked to submit to a greater Authority. May the Lord we able to say of us “I have no greater joy than to hear that my children walk in truth” (3 John 4). “Stand therefore, having girded your waist with truth.” (Eph 6:14).